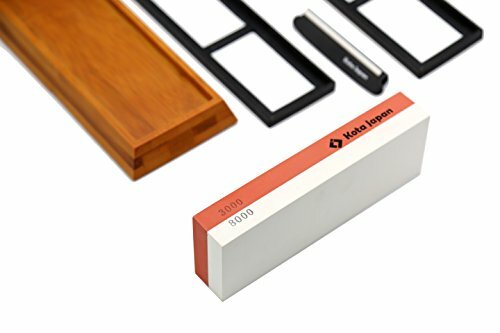 ✔ SHARPEN BLADES FOR UTMOST SAFETY – Kota Japan whetstone are fast and easy tools to keep all of your knives razor sharp so that you won’t get hurt trying to cut food with dull blades. 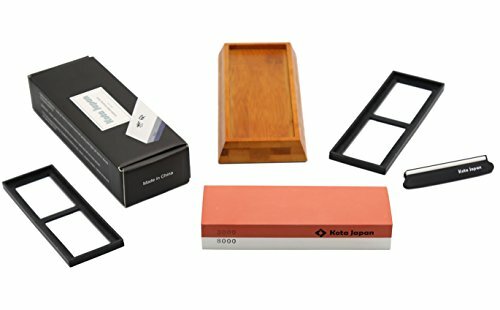 SUPERIOR PRICE-VALUE BUNDLE – Your knife sharpening kit comes with a DOUBLE SIDED (#1000 and #6000 Grit) PREMIUM QUALITY Corundum whetstone and EASY TO USE Instructions. BONUS Professional Knife Sharpening eBOOK has lots of TIPS & TRICKS for EVERY SKILL LEVEL. 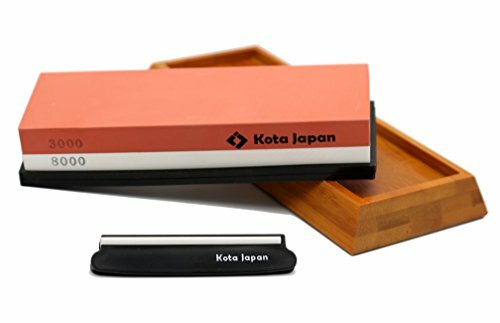 Important: Visit our KotaJapan site to download your FREE BONUS eBOOK and register your new knife sharpening water stone for BONUS offers. 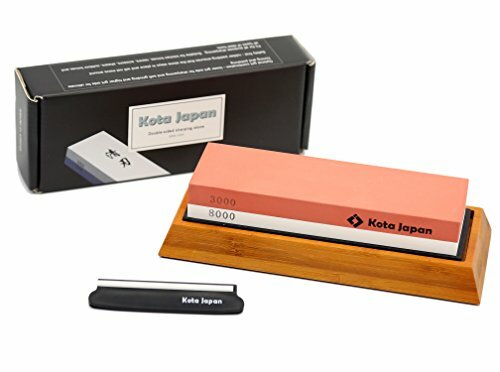 ✔ PREMIUM WOOD, NON-SLIP BAMBOO BASE PLUS FREE BONUS ANGLE GUIDE – Holds your quality sharpening stone securely in place. Never worry about your wonderful whetstone slipping during sharpening. BONUS ANGLE GUIDE for the perfect edge every time! ✔ TWO STONES IN ONE – Use coarse 3000-grit side to smooth the blade before fine finishing. Use fine 8000-grit side for a razor sharp finish. Dimensions 7.25″ long x 2.25″ wide x 1″. ✔ GUARANTEED PROFESSIONAL GRADE – Made from finest Aluminum Oxide. 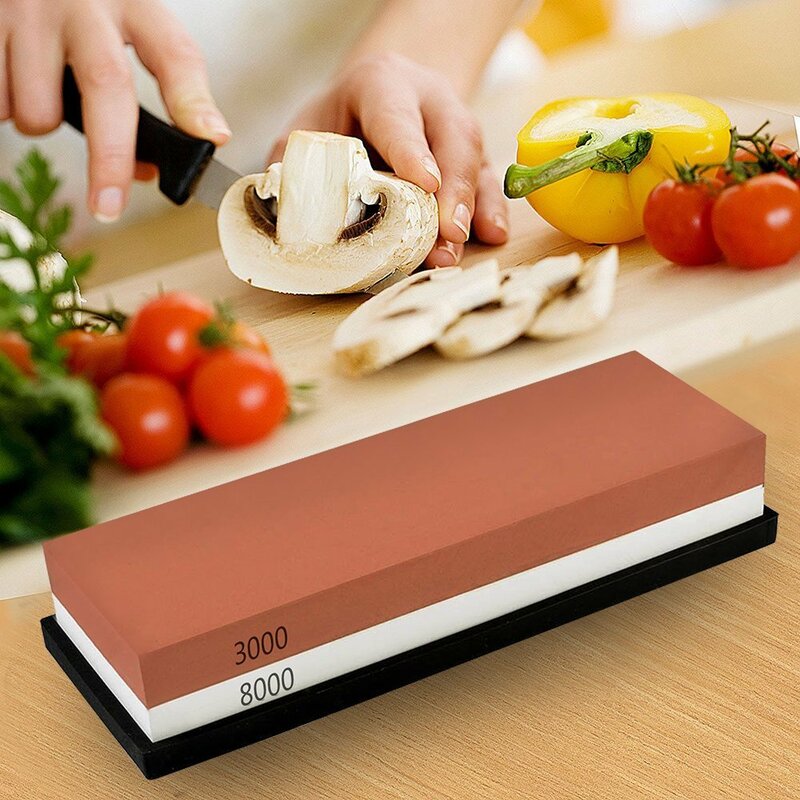 Unsurpassed quality of any sharpening stone on the market today. #1 recommended tool by Japanese Sushi Chefs. ✔ • UNCONDITIONAL LIFETIME WARRANTY | 100% TESTED | BUY WITH CONFIDENCE!! 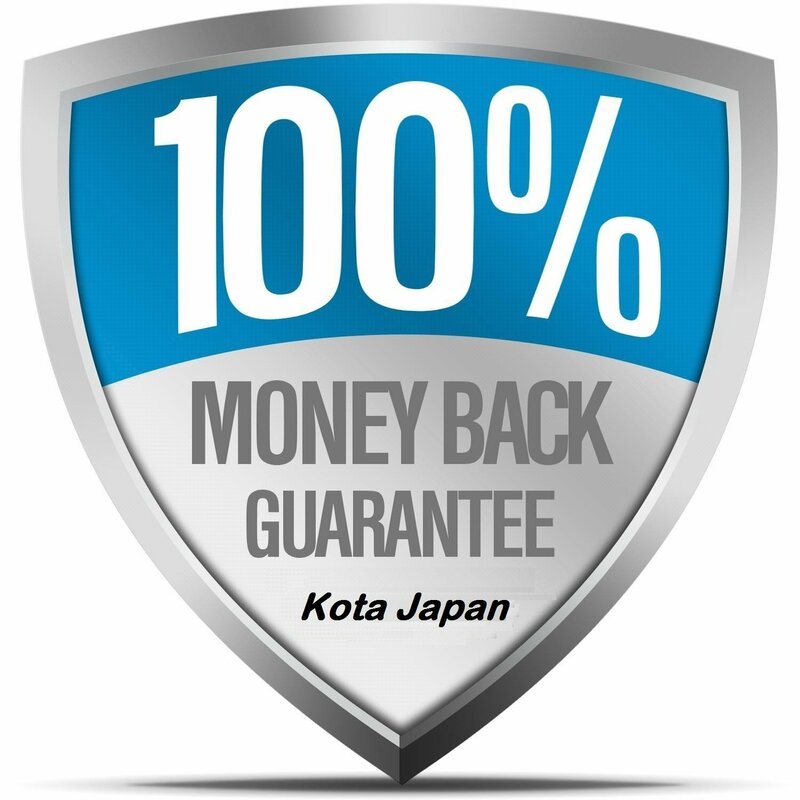 Visit KotaJapan or call our friendly US BASED Customer Service in Sunny Arizona: 602-396-2800.